Forget the razzle dazzle of a windswept Kate Winslet and Leo DiCaprio running amock on the high seas to a soundtrack of Celine Dion, this Tony Award-winning Broadway musical is a much more atmospheric and sincere approach to one of the worst disasters of all time. 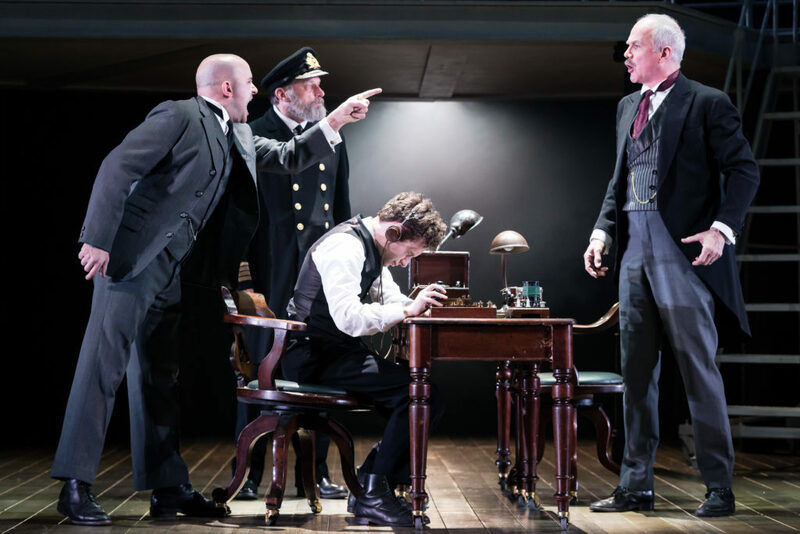 Titanic The Musical is at Birmingham Hippodrome until Saturday June 9 as part of its first UK tour, despite already being seen in many parts of the world since its opening on Broadway in 1997. 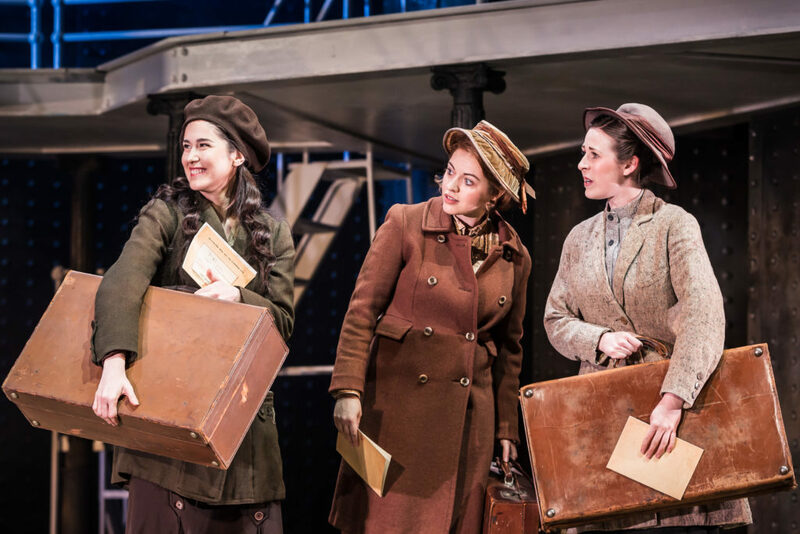 Walsall's Thom Southerland directs this production for what is a poignant homecoming for him as Birmingham Hippodrome was where he first began to love everything about theatre. His love and knowledge of the stage translates this emotive tale well on to a simple but effectively designed set. This show isn't about the special effects (as there aren't really any) but about the heartfelt personal stories and exquisite rousing music. Theatre and film composer Maury Yeston, who also wrote the soundtrack for Nine, wrote the music and lyrics for Titanic the Musical, which won her a Tony Award for Best Score. It was to be one of five Tony's for the work, including Best Musical and you can see why. The show opens with plans drawn up and staff arriving for the fateful maiden voyage. The hustle, bustle and excitement is clear while accompanied by one of the big hitters song-wise - Godspeed Titanic. This is a character-led musical that has paid acute attention to historic detail in terms of facts, timeline and people. It really does feel like you are getting a sense of the atmosphere on board that epic journey to America full of hope. There's around a dozen key characters introduced and among them are passengers in each class. The Irish trio of Kates in third class, the middle-class social climber and her long-suffering husband, and the famous upper-class nobility including the Strauss family, who owned Macy's. There's plenty of attention to the crew too, which gives it more depth. You end up really caring for the plight of the 14-year-old angelic looking bellboy and radio room operator, who does favours for the love-struck below-deck engineer. You know he's doomed as soon as he sends a 'will you marry me' telegraph to his sweetheart. As in every good drama, there's heroes and villains. The latter in this case is investor J Bruce Ismay, whose constant demands for speed put pressure on Captain Edward Smith and create mounting tension. Added to that is a haunting soundtrack that is a mix of gentle operetta and choral pieces, It stays with you long after you have left the theatre. 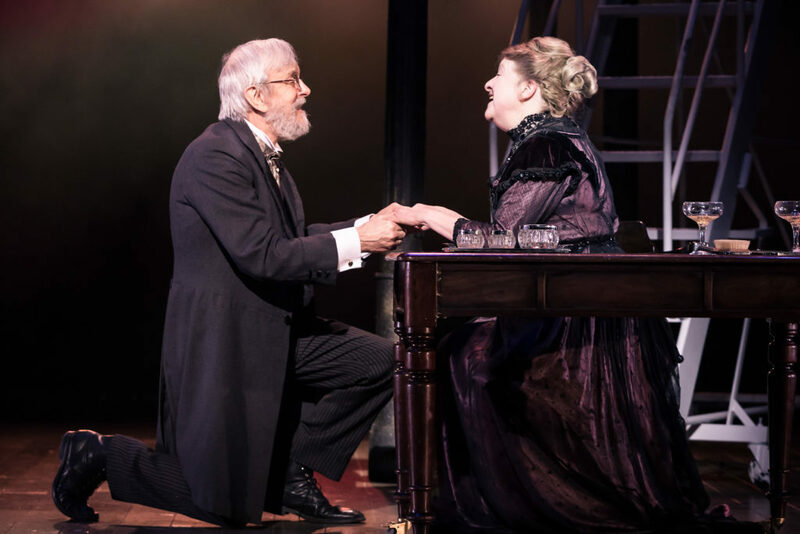 While there may not be any famous epic musical songs, there are many tender pieces that fit perfectly into the moment and create waves of sentimentality at every turn. It's also a relief that amid the impending gloom, there's time in the first act for blossoming romance, humour and the delightfully sprightly song Doing The Latest Rag, as we lead up to the moment the iceberg is struck. The second act is more action-packed, ramping up the emotion and leaving a suitable lump in the throat, as it should for a disaster that claimed the lives of 1,517 people. Lives and loves are torn apart by the dilemma of not having enough lifeboats on board and this is when the personal stories come to the fore. Elderly first-class passenger Mrs Strauss, who declines a spot in a lifeboat to stay on board with her husband, creates a touching scene, as does the separation of so many couples to the song We'll Meet Tomorrow. Survivors leaving the ship, and stage, by walking through the audience is a wonderful touch that gives the impression of how isolated and desolate those left behind must have felt. While an in-memoriam screen, listing all the names of the dead is a hard-hitting climax to the show that has real impact. This production was first performed in the UK at the tiny Southwark Playhouse in 2013, and part of me wonders if elements of this show would be even more intense and powerful in a smaller theatre than the Hippodrome. 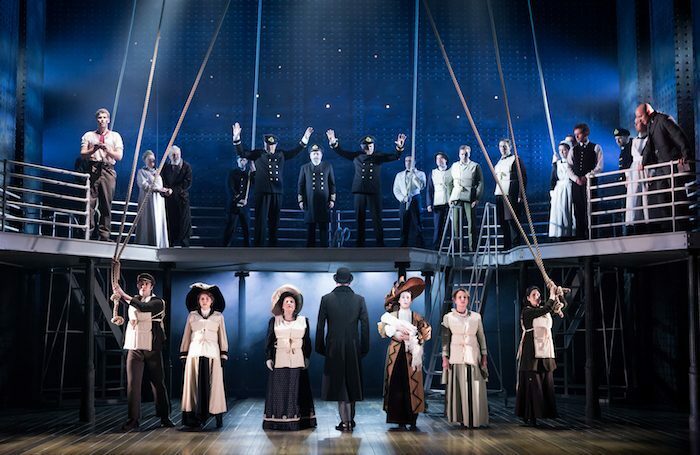 That said, Titanic The Musical is a wonderfully atmospheric production. You can't help but get swept away with the emotion and sentiment of this first-class show. For information and dates for the whole UK tour, visit the Titanic The Musical website.